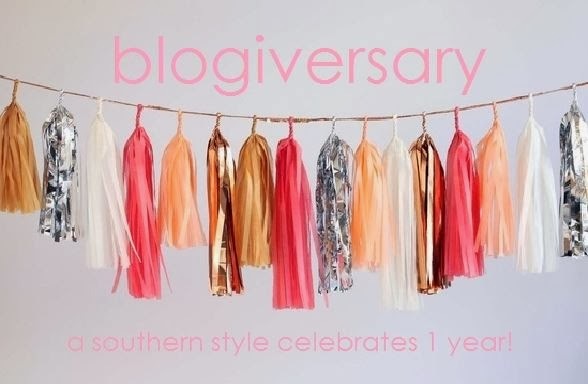 It's hard to believe A Southern Style is a year old! (though in some ways it isn't...) On December 12th, I was home for Christmas break and randomly sat down at my computer and started a blog. I didn't know exactly what I wanted to do, just that I wanted to have a place of the world that was mine -- where I could share the things I love with those who love them too. Since December 12th, I've explored all kinds of posts, experimented with new topics, changed the blog design, and more. Even still, there are so many changes to come! I remember getting my first GFC follower and thinking, "I will never make it past 10..." I eventually made it to 10 followers, and I stayed there. For a very long time. And I was not all that dedicated. I let anything and everything get in the way, only posting a couple times a month. Over the summer, right before I moved to Charlotte, I decided I was going to make a more valiant effort at blogging, but what I realized is that it isn't a chore. There are some days when I don't feel like posting or just don't have enough time, so I don't. But most of the time, I'm motivated by something, even if it's the tiniest thing. So, I want to thank all of you for following along with me and A Southern Style's journey -- I've absolutely loved all of the new followers I've gained over the past year -- and especially this past month! I hope you continue to follow along with me -- and I would love to hear things you love, things you hate, and things you want to see more of! 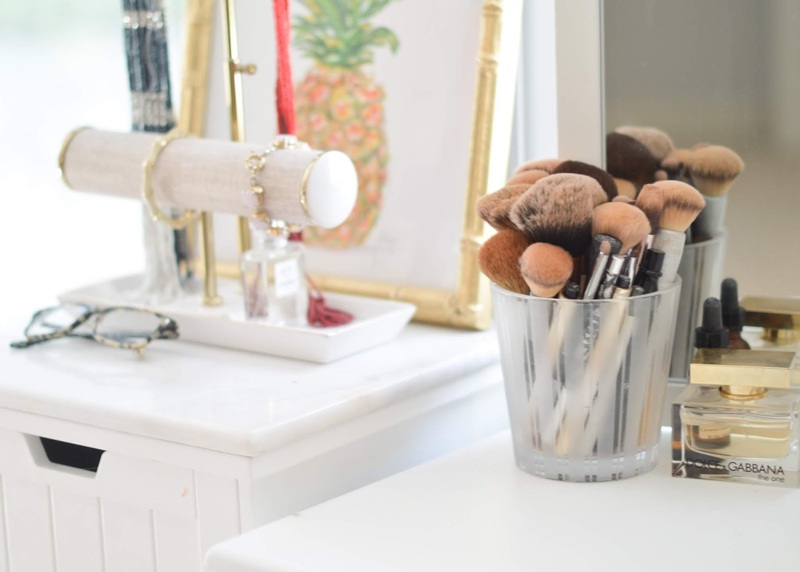 I have some definite goals for the direction of this blog -- and I can't wait to get there! I'm headed to NYC in the morning -- can't wait to share my trip when I get back! For now, don't forget to check out the Winter Wonderland and Etsy Shop giveaways! 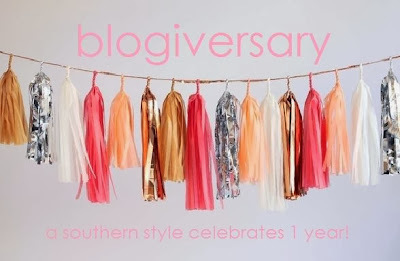 Here's to another year with A Southern Style! Thanks for following along!